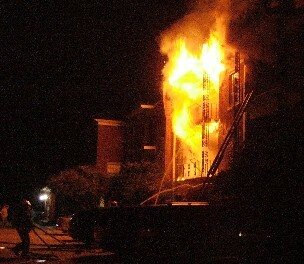 Shortly before 11:30pm firefighters responded to a reported condo fire at 801 Rue Burgundy. 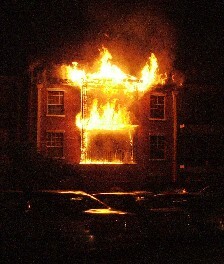 Upon their arrival, firefighters encountered two fully involved three story condos. A second alarm was called and aggressive evacuation procedures were immediately enacted to alert and help evacuate over 40 people from the complex. One resident was saved from her burning apartment when she was trapped on a balcony.